On Saturday night my sister Elaine did what she does best. She convinces me to go out and do something fun. It is her gift and she is hard to resist. 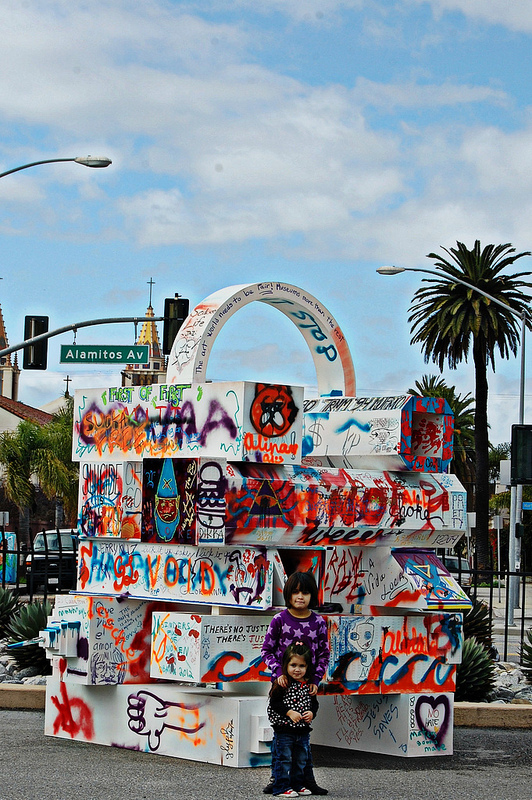 Since it was free museum weekend we decided to meet up in Long Beach at the Museum of Latin American Art (MOLAA). I have never been there and had always wanted to go. The museum itself is a lot smaller than I imagined. Plus the fact that half of the museum was closed because they were setting up new exhibits. The outside had some great sculptures and water feature. Elaine and Kelly met up with us and we headed in. 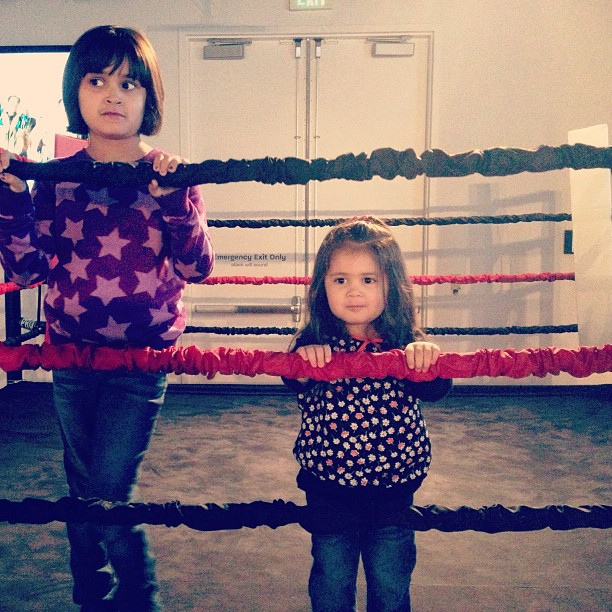 The first exhibit was a by Camilo Ontiveros called "In the Ring" and it was all about boxing. Complete with a smaller scale boxing ring that the kids could try out. Louie has been in a boxing kick lately. After her bath she stands in her robe and shadow boxes in the mirror, or takes punches at my legs. The second room was a cool exhibit called "
They took pieces from the permanent collection and displayed ones that can relate to the Loteria cards. It was very cool. Dead clown. Took this for Ouie. Interactive things at museums are the best. The kids can only hear "DONT TOUCH THAT" so many times before they are over it and want to leave. In the Loteria exhibit they had a couple of things for the kids to do. 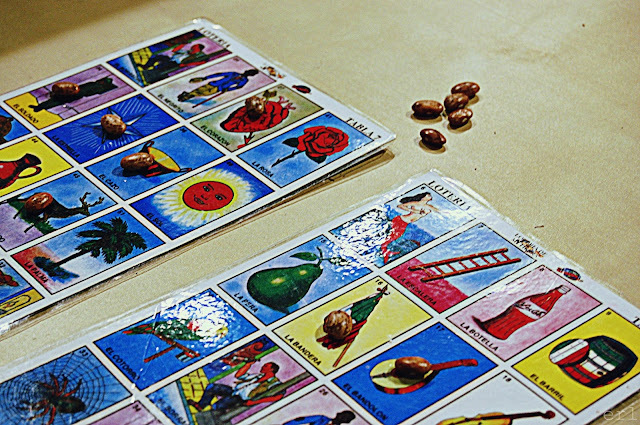 They had Loteria games, complete with beans, to play. There was also a station where you could draw your own Loteria card. My little artist The Phi did a flower. This piece in the lobby really spoke to Elaine and the girls. It should be called "Why is that bird so mad? Because he has lights on his head." 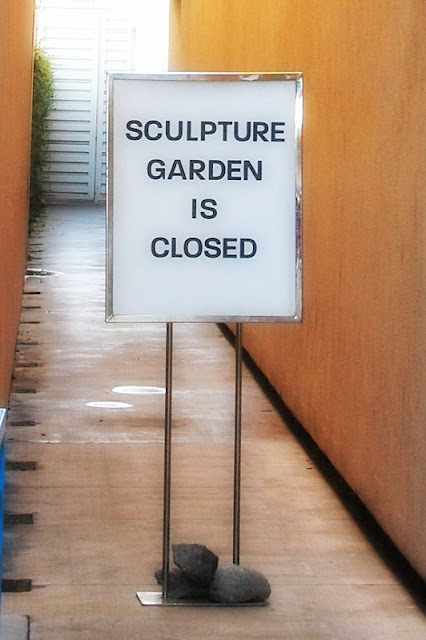 We headed outside to check out the sculpture garden, but because of wet floors they closed it. 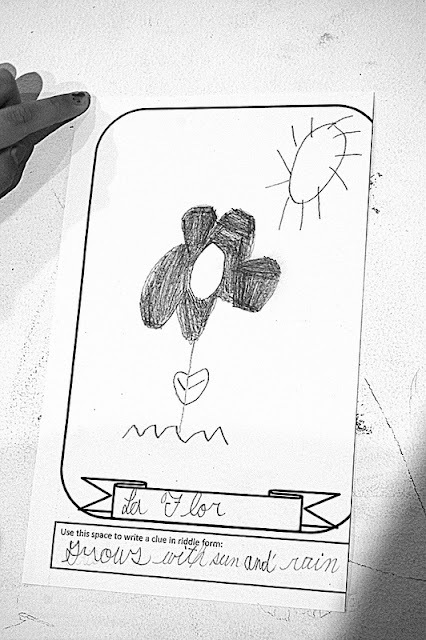 I love Sophia's "La Flor" card, including the riddle definition "grows with sun and rain." Even though parts of the museum were closed, it seems like it was a good experience for your weekend. It was Aunt Tawny! Can't wait to go back to see more! 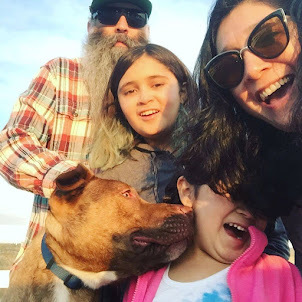 Great post and a fun trip. You may not believe this but that building was formally a roller skating rink. I skated there many times. AND my Mom and Dad met there, back in the 40's. How's that for a little history.